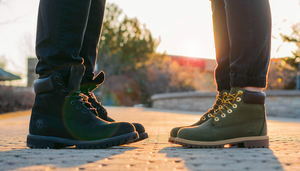 Is it time to re-boot your marriage/relationship? Passionate romance fades and couples face challenges and problems at some point in their relationship. Diane offers a 6 week mini Marriage Boot Camp or 10 week intensive Marriage Boot camp for couples on the brink. Couples on the brink…Listen Up! When you sign up for Boot Camp Diane will design a customized training plan for your marriage. She can help get your marriage back on track. Bring your spouse and marital woes and she will bring the re-enforcements for a happy, healthy marriage. Get your Drill Schedule and start training today! Diane also offers Relationship Boot Camp. Grow your EQ skills to manage your behaviors and enhance relationships. Relationships take time, effort and know-how. The know-how is emotional intelligence. Relationship management skills can be learned. Relationships are an essential part of life. For optimal mental health and well-being schedule an appointment today. Diane has a military psychological background and expertise working with Marines to keep them mission ready.